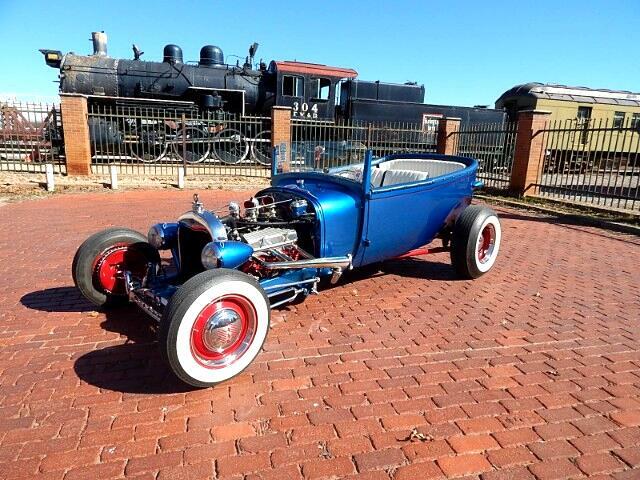 Meet Tubby A One Of A Kind 1928 All Steel Four Seat Cool To Drive Bucket. Now when you check out this car it was done all old school with all the attitude and looks a custom rod should have. Powered By A Very Strong 283 Motor With Four One Barrels For That Bad A** Motor Look Automatic transmission for easy driving. When this car was built the builder had taller people in mind so plenty of room for that long cruise. Yes She Has Doors for easy entry on both sides and the leather front seat fold forward for your rear guest. This Classic is show quality and ready to go Runs down the road like a top and stops very well with the front disc brakes. Tons of chrome and don;t forget the cool change out rear end. Call for more info or just stop by and check this one cool car out. Message: Thought you might be interested in this 1928 Ford T-Bucket Roadster.